I meant to review this a long time ago, but it got completely lost in my hard drive and sadly forgotten about! Better late than never! 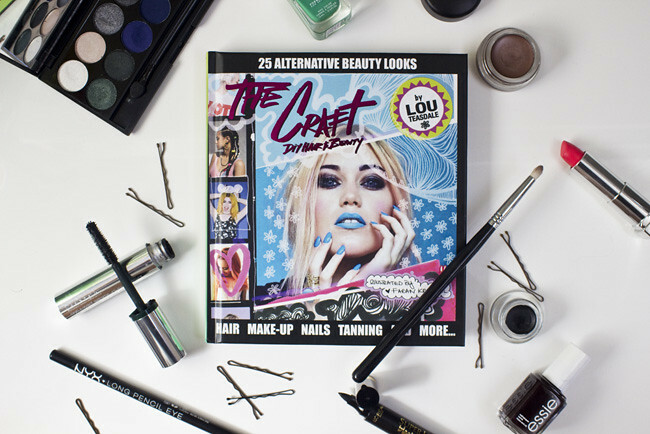 I was super excited for the release of MUA/Hair Dresser/Stylist/All Round Legend Lou Teasdale's 'The Craft', a sort of beauty guide for 'alternative beauty'. Admittedly, I only discovered Lou through my not so little nor secret obsession with One Direction (don't judge - Midnight Memories is awesome), but I quickly grew to love her style and when I heard she was writing a 'style guide' type book, I knew it was going to be a goodun'! As a self confessed beauty addict (duh), I spend hours trawling through Pinterest and will quite happily pin hundreds of photos of makeup inspiration, but sometimes I've been feeling like a lot of it is mostly the same - quite formalistic, and reminiscent of runway looks. For the most part, I love this, but I was finding myself craving for something a little different. Cue me pre-ordering 'The Craft' and eagerly ripping my parcel open when it arrived upon my doorstep. Inside I found the perfect sized coffee table addition, filled to the brim with colourful and crazy photos and scribbles, and Lou's own personal tips and tricks in the industry for 'alternative beauty'. 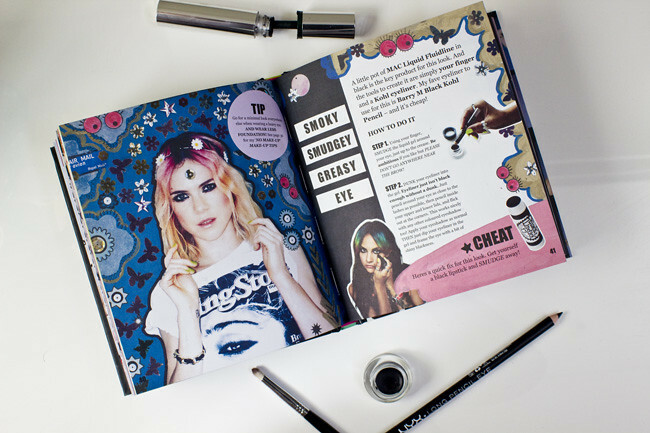 This is by no means an in-depth manual - I wouldn't say I learnt anything I didn't know before, but what I did find was some fresh inspiration, and a sudden urge to dye my hair pink and pull out the black eyeliner. There's all sorts of makeup tips for application, as well as some cute and fun ideas to jazz up your routine for a night out. I also love her hair section, especially as I'm bleaching my hair to white (slowwwlly) and loved all the tips I picked up about how to keep it toned! Not to mention all the gorgeous pastel hair colours she has provided recipes for, swoon. She also talks briefly about how she got into the industry herself, and provides some basic but relevant information for those seeking to do the same. Lou's take on a 'beauty guide' is a welcomed addition to the beauty bookstand, and something I really feel the market lacked. 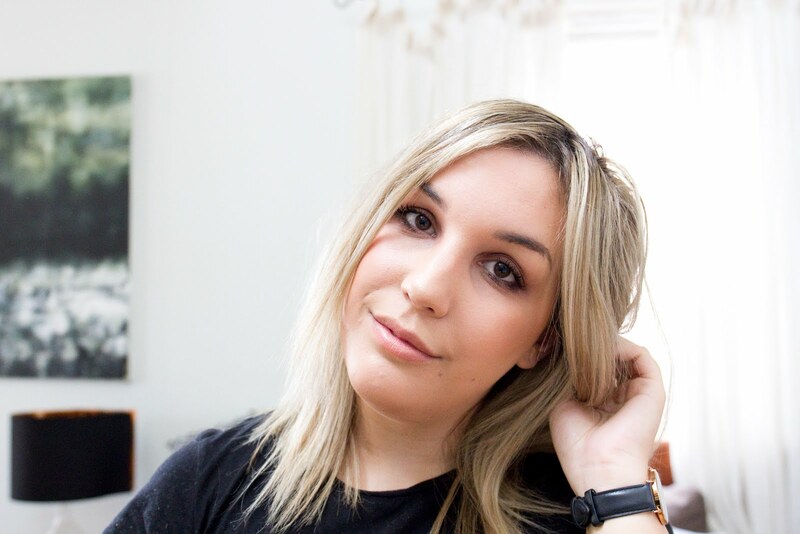 She's taken a fun and brave approach to a normally formalised and minimalistic style, and I believe she's firmly come out on top with a fun and easy read that really makes me want to change up my style a bit and introduce something new and exciting into my makeup and hair routine! I'd love to see another release from Lou in the future, I really think this gal is onto something and I can't wait to see what she comes up with next! P.S Sorry for not being around - I promise things will be back on track verrrry soon!